My life from the last post until this past Tuesday has looked like this. However, I had my last exam for the semester on Tuesday 🙂 🙂 🙂 and it also meant that the group of us four girls who all started together last year is now down to two, as S finished mid-year. The four of us grouped together again on Tuesday after the exam for a lunch celebration at Vapiano. 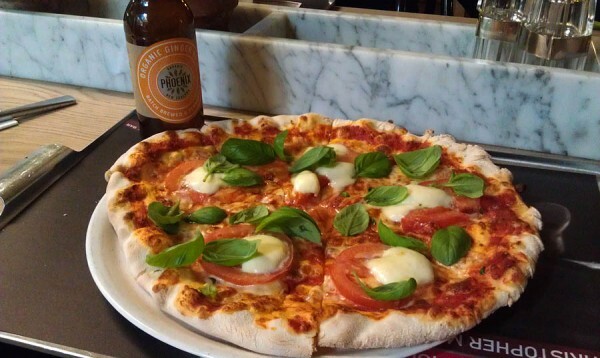 I had a Caprese pizza, it was 210 times delish. It was at least three times as good as the spinach and ricotta pizza I had at Giardinetto’s on Friday night with the girls ladies (when I was the youngest by almost 20 years, I don’t think girls is the correct word) from work. Keeping on the food theme, a random assortment of food photos from my phone. 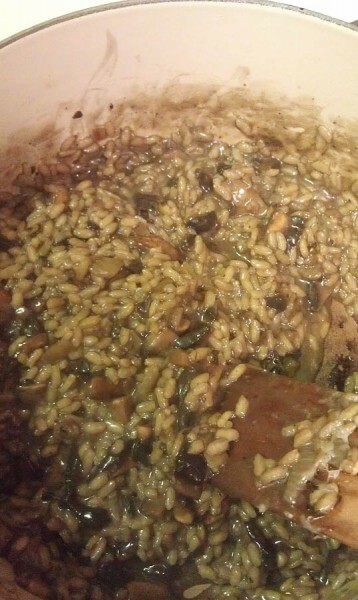 Mushroom risotto. I ♥ mushroom risotto. 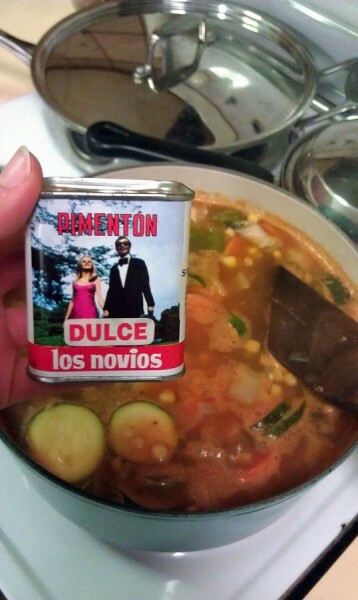 Vegetable minestrone soup with a good dash of Pimentón Dulce. So so so so good. Possibly one of my favourite quick dinners. Spaghetti with carrot and zucchini. 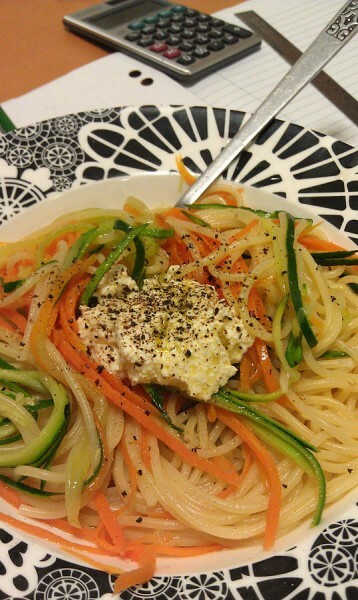 You cook the spaghetti and just before the spaghetti is cooked, you add in the zucchini and carrot which has been julienned with a julienne peeler. Once the they are all cooked, drain, drizzle with a some olive oil and top with a good crack of pepper and some ricotta (props if you “make” it yourself). Eat. 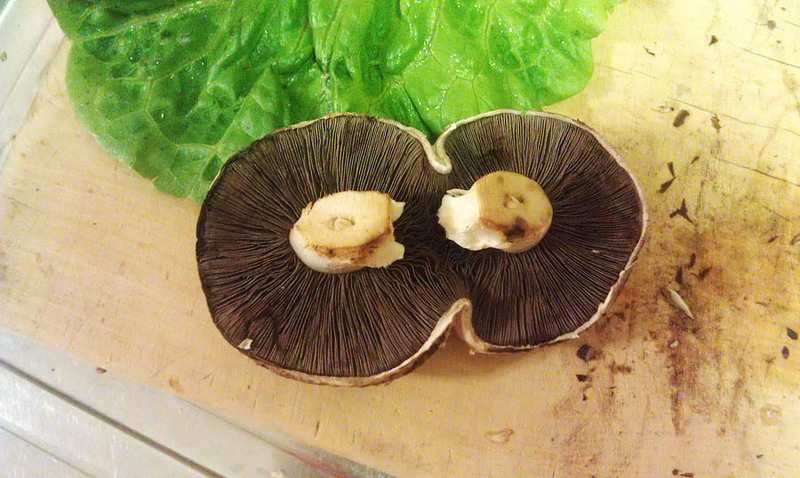 How cute is this Siamese mushroom I got in my Food Connect box the other week? To finish it off. 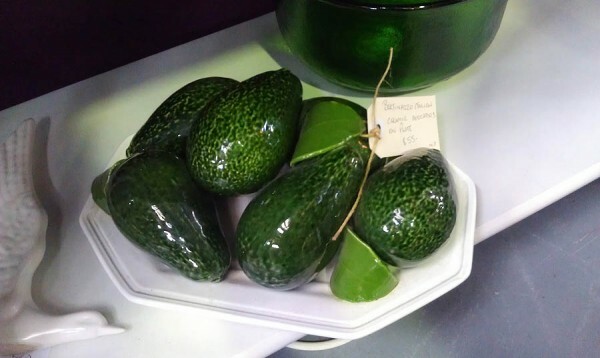 Some avocados of the ornamental variety…. I spotted these at WAC yesterday and just had to take a photo. Great post. Wonderful food photos. 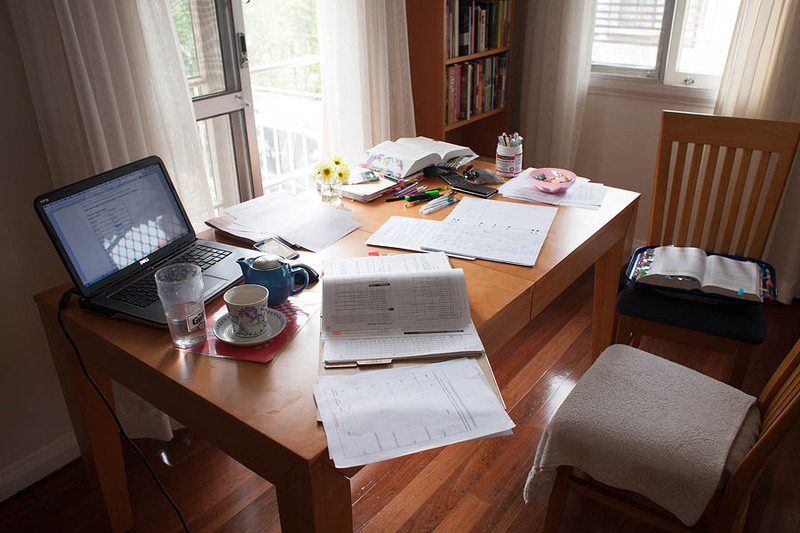 I don’t envy the study, but soon enough it’ll be over. WAC … how’s it going? I was making a search for plastic crochet string and came across you page in 2006 of a bag you made. I am looking for that string. Can you tell me where it can be found it again? I lived in Germany many years ago and I had one of these bags. I would like to make one for my girls. Any suggestions? So, did you make your own ricotta?